Written by roxeteer on December 3, 2010 to Releases and Roxette. 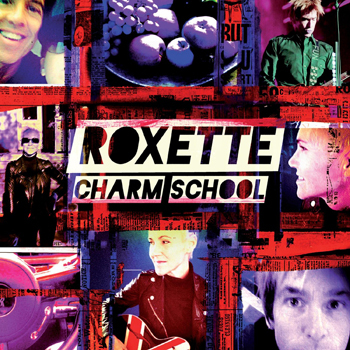 Per Gessle just confirmed it: Roxette's next single will be called "She's Got Nothing On (But The Radio)" and it will be out on January 10. The B-side is a live version of "Wish I Could Fly" recorded in St. Petersburg September 12, 2010. Update: It's true! The single will be out on January 10. 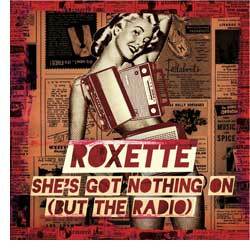 Cutting Room Studios briefly released a blog post on their website saying that Roxette's forthcoming single is titled "She's Got Nothing On (But The Radio)." The post was later removed, but it's still available in Google cache. Our long time friends at EMI Sweden & Roxette are releasing a new single titled “She’s Got Nothing On (But The Radio)”. The Roxette duo started in 1986, combining Per Gessle and Marie Fredriksson. Roxette has sold 75 million albums all over the world and have had four singles in the number one spot on the Billboardlistan in the US. With songs like “The Look”, “It Must Have Been Love”, & “Listen to Your Heart” och “Joyride” you can expect another great hit from this outstanding pair. Mastering with Björn Engelmann. In related news, Per tweeted that the single will be a 2-track release. Written by Roxwriter on November 15, 2010 to Roxette. The concert special is a condensed version of “Live-Ism” and it aired on sister-Foxtel channel “VH1” back in April and now MTV Classics have given the Roxette special a second prime time airing. With a Roxette World Tour happening in 2011, was this live Sydney special merely a coincidence or a sign of things to come?